Welcome back to the DIY Corner! This week’s post from the ladies at DIY Playbook offers one of their favorite organized packing tips – color coding your boxes with style. Enjoy! 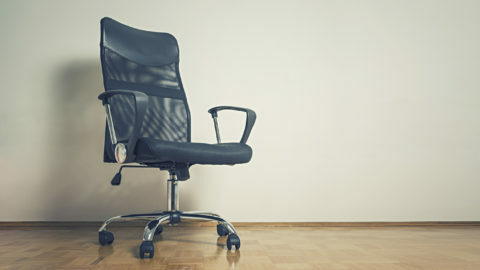 My fellow movers, allow me to introduce you to an old friend of mine. Meet Washi Tape. Being a crazed crafter in my free time, I am already head-over-heels in love with all of the potential that these little rolls have wrapped up in them. They come in every color, pattern, and crazy design you can think of and are very much like your typical tape, yet far more stylish and far more removable! Yes, tape that allows you to make mistakes, re-stick, re-use and slap on things that otherwise just aren’t as tape friendly. 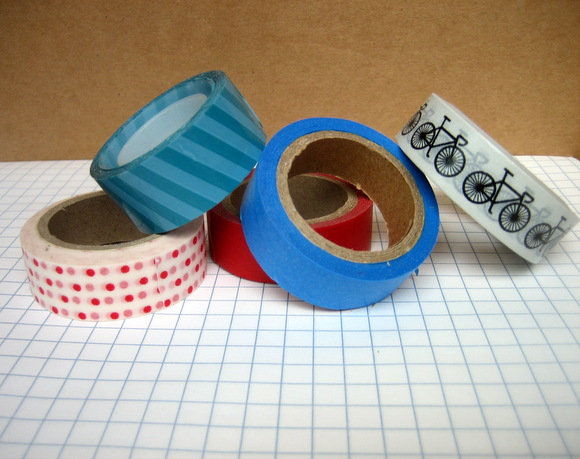 Okay, okay, if you’re saying to yourself, “alright crazy crafter, I get it…cool tape. 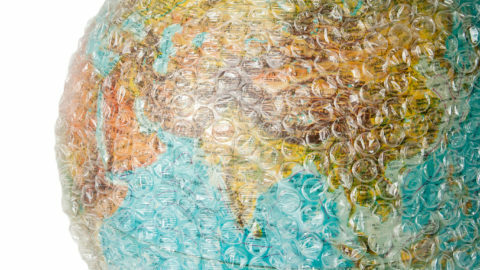 But how does this relate to my big move?” I hear you… loud & clear. Allow me to explain. 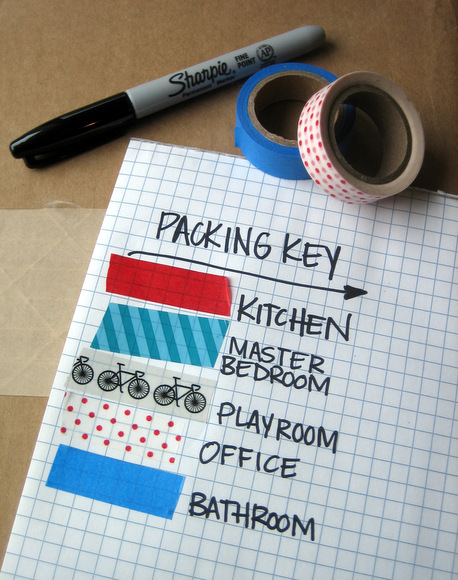 Washi tape is the perfect way to stay organized throughout the moving process. A few of these colorful strips, and you’ll be sure to keep your boxes organized, keep your moving team on track, and save yourself a whole lot of unnecessary aggravation. First, go out and buy yourself a few different rolls of washi tape; they run as cheap as 99 cents at your local craft shops. 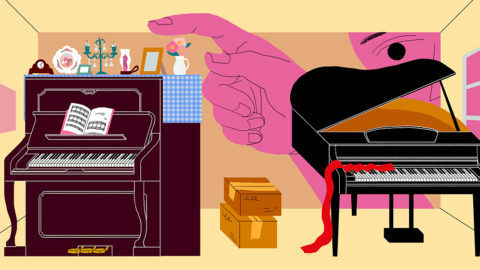 Using the different color combos, make yourself (and your moving team) a colorful key. Blue tape = Bathroom, Red polka dots = Office. This “key” will guide you as you pack up each room, as you load the moving truck, and most importantly, as you eventually unload at your new place. 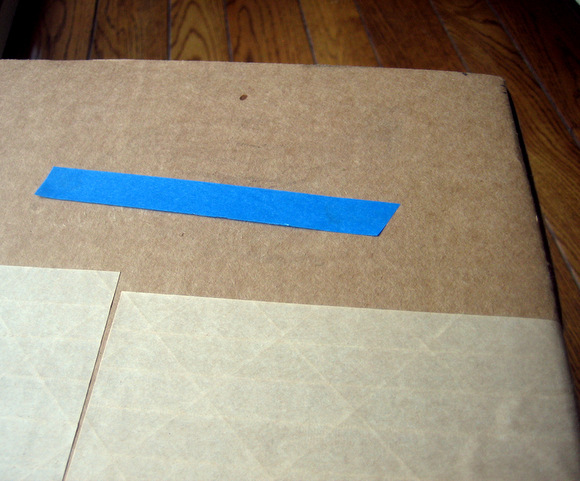 Since you’ve already assigned each room a color, all you need to do when packing a new box is slap a piece of that color washi tape on the outside. 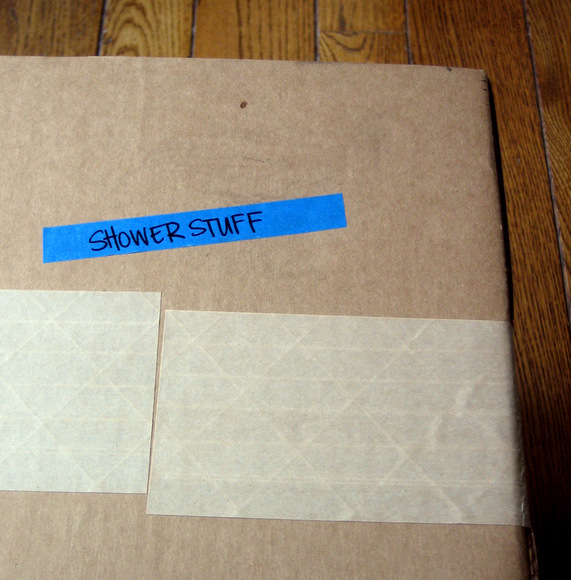 For our overachievers out there, you can even label what is inside that box directly on the washi tape. That way you’ll not only know where that box is heading, but you can glance at it and know exactly what’s inside. 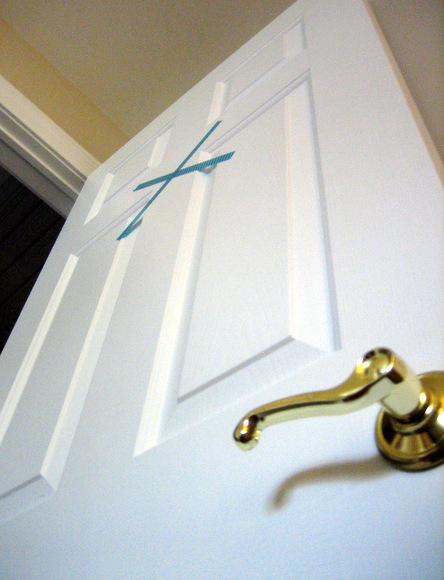 When moving day arrives [dum, dum, dummmmm], you can put a big “X” of each color washi tape on the doors of each of the assigned rooms. That way, the members of your beloved moving team will know exactly where to bring each color coded box. I’m guessing this will save you a lot of time and you won’t be running around shouting orders like a crazy person. And wait, there’s even more! 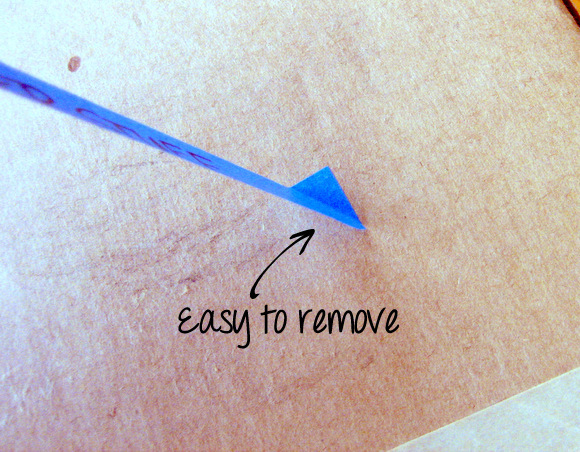 We all know that sometimes you want to re-use a box after the big move and with the alternative option of writing the box’s contents in big PERMANENT MARKER, there’s not a whole lot you can do to “rename” the box. 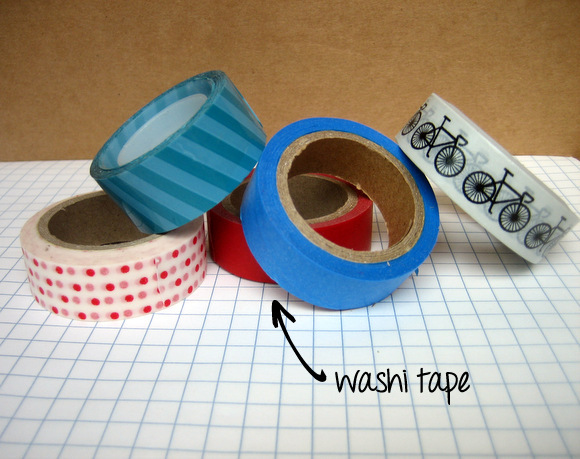 Well, with the washi tape system, all you have to do is peel that baby off and start fresh! No remaining stickiness, no ruining the box, and no distracting permanent marker words scratched out 13 times over. Thank you washi tape! Who knew moving boxes could be so colorful and fashionable? So what do you say, are you joining me on Team Washi Tape? You can find Washi tape online or at your local craft store, like JoAnn’s.